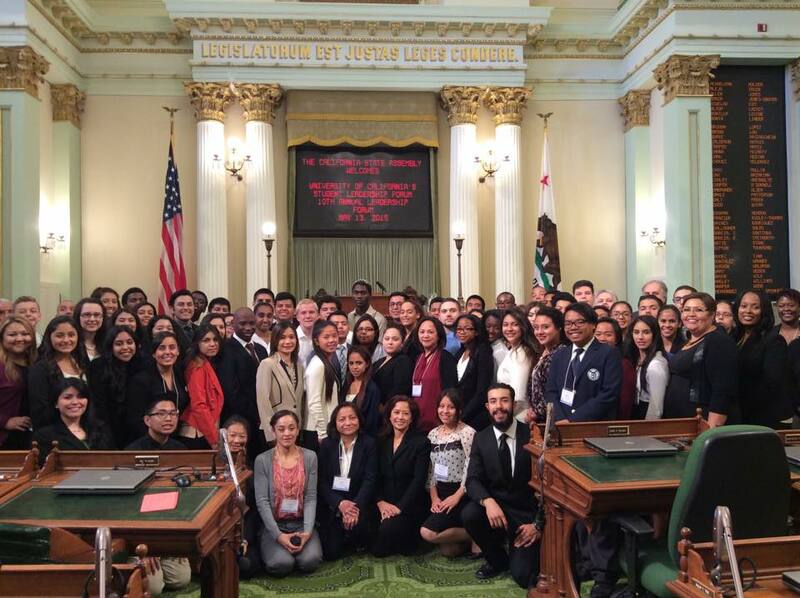 During a day and a half, students learned how laws are formed, how to advocate for an organization, how to be a leader and visited the California capital to meet with legislators. This jam-packed 36 hours is the Student Leadership Conference (SLF). The event brings 90 students from MESA, Early Academic Outreach Program (EAOP) and the Puente Project together. This year was the 10th anniversary of the event. State Superintendent of Public Instruction Tom Torlakson recognized students attending the forum at the Embassy Suites on May 12. Assemblyman Jose Medina also spoke to students and presented an Assembly Resolution of 10 years of leadership development through the SLF. University of California Office of the President (UCOP) Vice Provost and Chief Outreach Officer Yvette Gullatt also addressed students during the conference. The UCOP Department of Diversity and Engagement sponsors the forum and administers EAOP, MESA and Puente. The two-day event provides leadership workshops for students with top government relations professionals, team building and an evening ceremony with legislators on May 12. Students then put their training to use May 13 during scheduled visits with legislators at the State Capitol. EAOP, MESA and Puente serve more than 70,000 middle school, high school, community college and university level students across California who are from underrepresented populations, from low-performing schools and/or first generation college students.